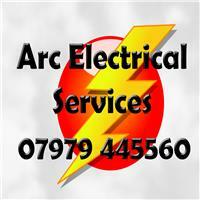 Arc Electrical Services - Electrician based in Sandhurst, Berkshire. I am a qualified Electriian with over 15 years experience. I provide a trustworthy and friendly service. I undertake all types of work, domestic and commercial, from light fittings to full re-wires. I pride myself on offering my customers quality advice and an efficient service. Please contact me today to discuss your requirements. Camberly, Farnborough, Sandhurtst, Black water, Crowthorne.